Wellington: It was a dead rubber with plenty of life. And at the end Otago had a confidence boosting 43 – 30 victory over Bay of Plenty, going into what will be a more exacting test in the ITM Cup championship semifinal in Wellington on Saturday night. Former Marist Brothers High School student and Nadi native scored one of the seven tries. BOP will be licking their wounds before the semifinal against Hawkes Bay in Napier, although they put up a spirited rearguard action when facing a huge defeat in Dunedin. The teams went into the final regular season match knowing they had semifinal spots booked, and who their playoff opponents would be. 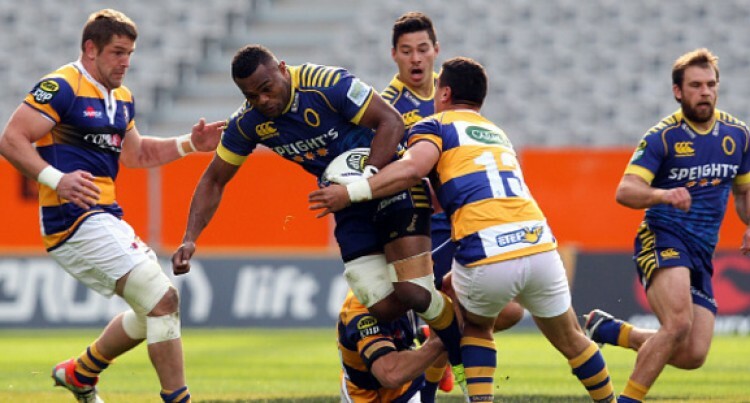 A blitz of Otago tries in the first 43 minutes appeared to kill the visitors’ hopes at Forsyth Barr Stadium. They led 29 – 16 at the break and struck early in the second spell from a poor Dan Hollinshead chip into a posse of defenders. It was a good win for Otago, but not without some luck. Otago found fortune late in the first half, scoring tries from generous video referee decisions. Fullback Tony Ensor was given the benefit of much doubt in grounding of the ball, after a spectacular leap ahead of three chasing BOP defenders. And captain Liam Coltman also got a favourable nod after driving over the line in a mass of bodies. No. 8 Naulia Dawai scored Otago’s first, although he couldn’t repeat the effort a few minutes later after working a great move with halfback Josh Renton. Ensor’s wonderful catch and pass from a chip ahead set up Faddes’ first try. Bay of Plenty: 30 (Culum Retallick 2, Nick Evemy tries, Dan Hollinshead con, 3 pen, Evemy 2 con).